Sir John Talbot, 1st Earl of Shrewsbury, 1st Earl of Waterford, 7th Baron Talbot, KG, known as "Old Talbot", was an English nobleman and a noted military commander during the Hundred Years' War. He was the most renowned in England and most feared in France of the English captains in the last stages of the conflict. Known as a tough, cruel, and quarrelsome man, Talbot distinguished himself militarily in a time of decline for the English. Called the "English Achilles" and the "Terror of the French", he is lavishly praised in the plays of Shakespeare. The manner of his death, leading a charge against artillery, has come to symbolize the passing of the age of chivalry. 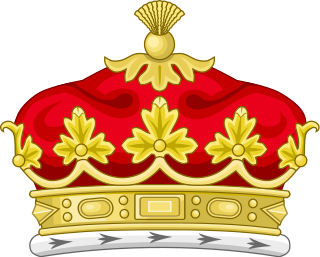 He also held the subsidiary titles of 10th Baron Strange of Blackmere and 6th Baron Furnivall jure uxoris. 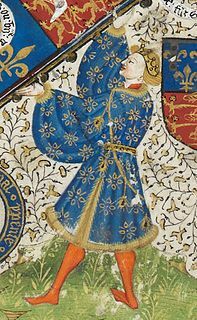 Robert Willoughby, 6th Baron Willoughby de Eresby was an English nobleman and military commander in the Hundred Years' War. 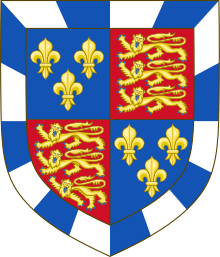 Elizabeth de Mowbray, Duchess of Norfolk was a daughter of John Talbot, 1st Earl of Shrewsbury and his wife Lady Margaret Beauchamp.